Champagne and caviar, satin and pearls – some pairings are just meant to be. This season has produced yet another in the form of a decadent colourway – green and gold. Individually, green and gold are impressive; together, they are nothing short of magical and the design world is noticing. 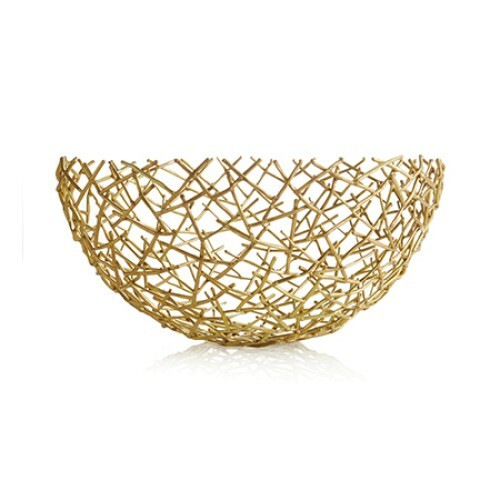 Gold – the ultimate symbol of luxury – acts as the (very glamorous) neutral counterpart to lush green tones in just about everything – green sofas rest on golden brass bases, marble boxes are trimmed with gold and elegant green vases adorn delicate gold furniture. 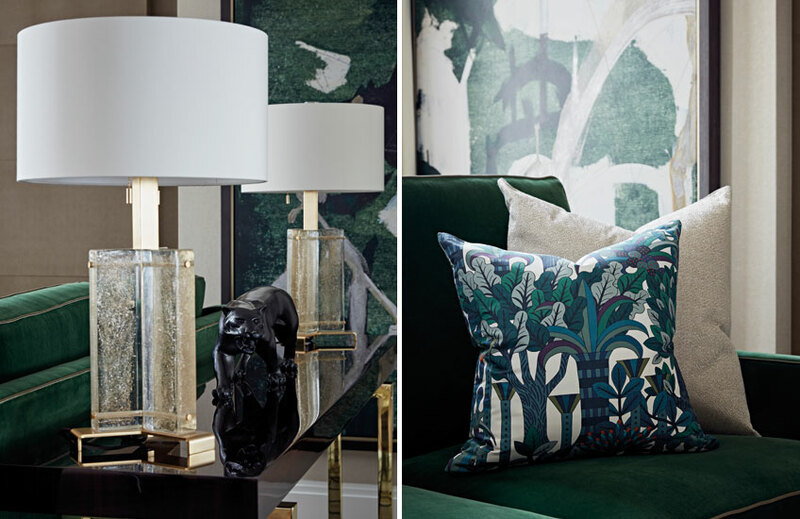 The colour combination inspires thoughts of beautiful antique emerald and gold Art Deco jewellery, exotic Moroccan tiling and gold-flecked malachite stones. The colour palette is proving to be a favourite amongst luxury homeware brands. 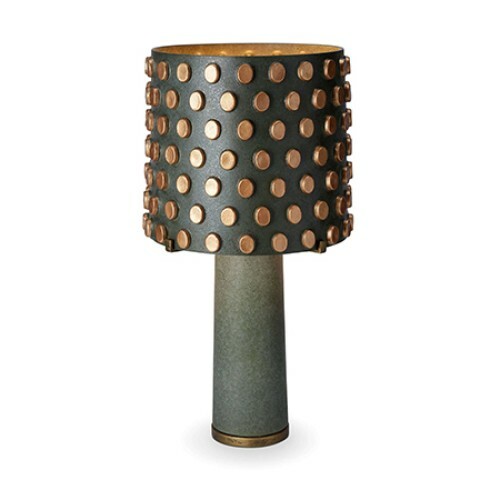 From Michael Aram’s verdant Rainforest collection to L’Objet’s studded new creations, it’s the colour trend to pay attention to this season. Indulge in a little Midas touch, a little envy and join the design world in its colour obsession by taking these steps to a green and gold interior. • Stick to deeper green tones – emerald, forest and olive green – over fresher ones. These tones work best with warm metallic colours and ensure that the end outcome is one of pure luxury. 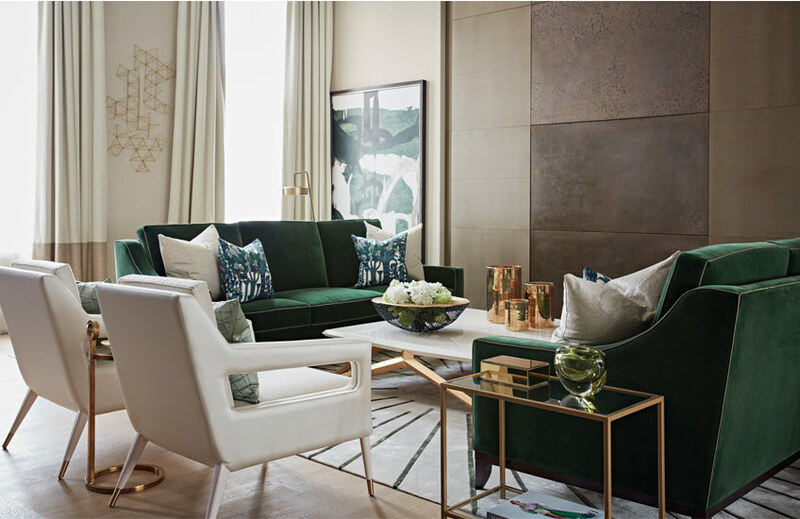 • Green is best for the main fabric of seating and other upholstery with gold typically being used for the base, accents or even the piping as in Taylor Howes’ Park Crescent living room (above). 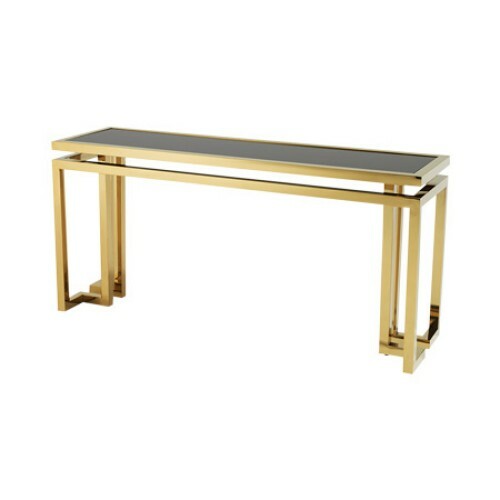 The one exception is art furniture which is often brass or gold-hued. 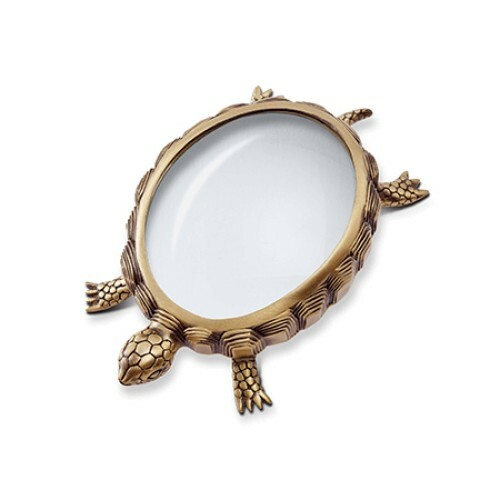 This kind of piece can be used alongside soft green upholstery. 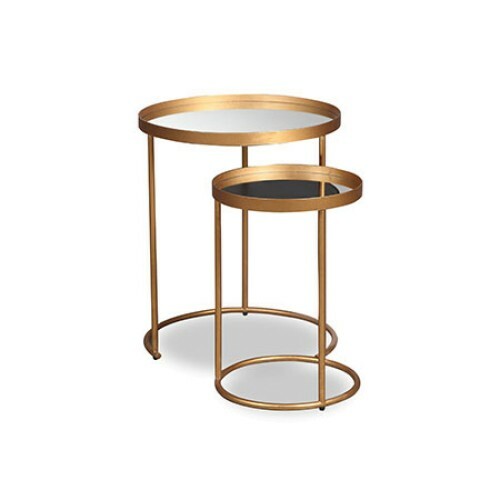 • Gold metal coffee tables, side tables and console tables are a great way to incorporate gold into a scheme without it feeling overpowering. 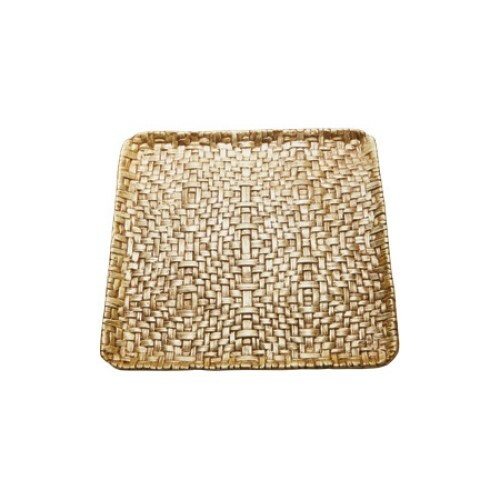 As Aerin Lauder (and her grandmother Estée before her) claims, gold is the perfect neutral, after all. • Ultra-luxurious green fabrics can be made even more sophisticated by opting for a matte or brushed gold finish on furniture. 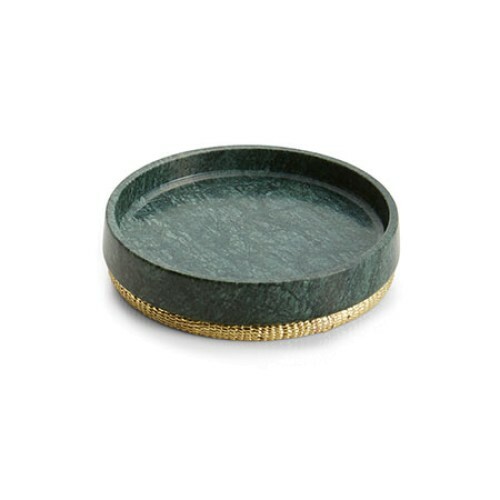 • A simple but effective way to use the trend in your room is to layer a gold tray with malachite coasters, a green trinket box (like Michael Aram’s Rainforest Trinket Box) and a pretty green candle or diffuser. • Green and gold are both extremely effective in all sorts of textures. Play with mottled, hammered, woven, enamelled and burnished textures in contrast to glossy finishes to create a well-rounded scheme. • Bringing the peace and serenity of outdoors into any room of your home is always recommended but bathrooms, in particular, benefit from a touch of nature. 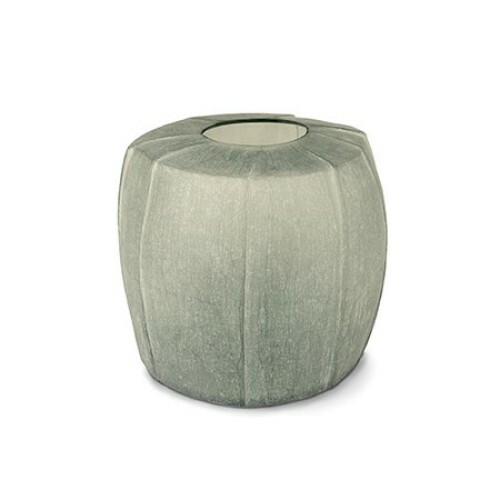 Group three large-scale Guaxs vases in one corner of your space or a smaller group on the countertop, fill with reviving foliage and watch your well-being improve instantly. • Find a stunning green wallpaper you love and enhance with a sharp gold wall sconce or a piece of gold art or sculpture for a moody gallery space.